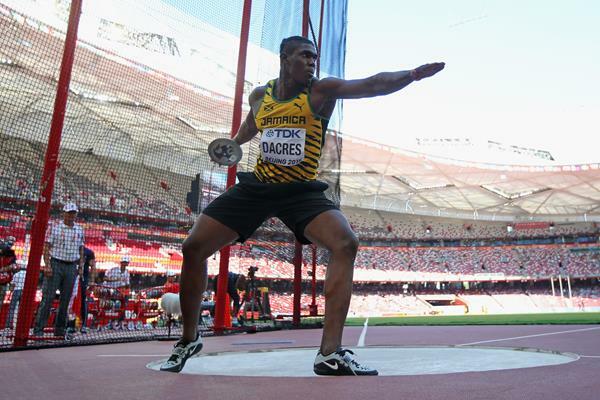 IAAF Challenge 2017 series started in Kingston Jamaica and Fedrick Dacres won the first meet with 66.36m. Andrew Evans was 2nd 64.48m, Chard Wright 3rd 62.53m. They were followed by Sam Mattis 61.86m, Rodney Brown 61.09m, Jared Schuurmans 60.52m, Tavis Bailey 60.09m, Basil Bingham 56.15m and surprisingly the previous Jamaican record holder Jason Morgan was left at 9th position with 55.28m.